Our free section contains free reviews of nearly the 70 most common investment/trading strategies and the Quantpedia Premium section is expanded to nearly 340 strategies. Total number of trading systems is regularly growing as new strategies are added into Quantpedia.com on a regular basis. The effectiveness of the VIX index as a leading indicator of style returns has been examined in the finance literature, finding that increases in this “fear index” lead to outperformance of “value” vs “growth” stocks, although the effect has attenuated over time. This study introduces the concept of “uncertainty” as an additional indicator of returns to value, as measured by the CBOE® VVIX (“volatility of volatility”), that that may be considered as a proxy for “uncertainty” in the Knightian sense. Increases in uncertainty (the VVIX index) lead to negative short-term returns to value. Additional macroeconomic variables provide additional incremental information regarding these phenomena. "this study examines the effectiveness of the two CBOE® volatility indices as leading indicators of style returns (value vs. growth), and the results of the analysis indicate that the CBOE® VVIX index provides significant incremental information regarding the interaction of returns, volatility, and uncertainty on a lead-lag basis. The initial analysis of the VIX index relative to style returns is consistent with Boscaljon et al. (2011) since it finds largely insignificant short-term effects of the VIX index on returns to value. However, innovations in the VVIX index indicate significant negative returns to value. The inclusion of several macroeconomic variables provides additional explanatory information since the VIX index indicates positive returns to value under certain conditions. The main contribution to the literature of this paper is the introduction of the additional concept of “uncertainty” into the returns to value analysis using highly liquid ETFs. The availability of these products, and their recent exponential growth, provides an opportunity to examine the relation of expected volatility and uncertainty to growth and value using similar, easily tradable and low-cost instruments. In order to further explore the returns to value from uncertainty as proxied by the VVIX index, in Table 5, changes in the VVIX index are included in the estimations of Equation 2 as a potentially further explanatory, independent variable. In this estimation, there is one indication of the potential returns to value from volatility in conjunction with uncertainty. In Panel A, for the large-cap ETFs, the results for five-day returns to value are significantly positive for changes in the VIX index (volatility) at the five percent level, although some other coefficients (10- and 20- day) are significant at the ten percent level. Additionally, the coefficients are significant and negative for changes in the VVIX index (uncertainty) over five- to thirty-day time periods (the 20-day coefficient is marginally significant) at the five percent level. On the surface, cryptocurrencies share important features in common with high sentiment beta stocks. Baker and Wurgler (2007) identify high sentiment betas with small startup firms that have great growth potential. This paper investigates the degree to which, during the period July 18, 2010 to February 26, 2018, the return to bitcoin displayed the characteristics of a high sentiment beta stock. Using a sentiment-dependent factor model, the analysis indicates that in large measure, bitcoin returns resembled returns to high sentiment beta stocks. Table 3 presents the coefficient estimates of CAPM, Fama-French three, Carhart four, and Fama-French five factor models for U.S. daily excess returns on excess Bitcoin Return. We note that Jensen’s alpha is significant and positive at the 0.1% significance level in all the above asset pricing models during our sample period. Notice too that all of the coefficients of CAPM and Fama-French market and other factors are insignificant, suggesting that bitcoin returns are largely nonsystematic, at least from the perspective of a traditional factor pricing model. There are at least three different channels by which sentiment can impact bitcoin returns. The first channel is bitcoin-specific, which is reflected in bitcoin’s Jensen’s alpha. The second channel involves the sensitivity of bitcoin’s price to general market sentiment. Baker and Wurgler (2007) describe such sentiment as general optimism about stocks. The third channel involves the manner in which sentiment mediates fundamental factor loadings, as noted by Baker and Wurgler (2006). Of special interest is the impact of sentiment on factor loadings associated with size (SMB) and profitability (RMW), because of the analogy between bitcoin and Baker and Wurgler’s association of high sentiment beta to small startup firms that are not yet profitable but possess great growth potential. Because bitcoin is the cryptocurrency most closely associated with a blockchain technology, and blockchain activity is positively related to general economic activity, our prior expectation is that bitcoin returns will be statistically related to the market risk premium. The results displayed in Table 5 Panel A indicate the following. First, the returns to bitcoin are statistically related to the market risk premium. Moreover, the interaction term involving the market risk premium features a negative coefficient. Therefore, when sentiment declines, bitcoin returns become more sensitive to the market risk premium. Factor loading estimates for two other interaction terms are statistically significant. The first pertains to size (SMB), with a negative sign, and the second pertains to investment (CMA), with a positive sign. The bitcoin size effect is that when sentiment declines, bitcoin returns share a common feature with the stocks of small firms. This finding has the same flavor as Baker and Wurgler’s finding that the size effect only applies in connection with periods of negative sentiment. In particular, this finding is in line with the intuitive association of new cryptocurrencies to the stocks of small startups. The bitcoin investment effect is that when sentiment declines, bitcoin returns share a commonality with firms that invest aggressively rather than conservatively. In this respect, aggressive investment reduces firms’ free cash flows and equity returns, whose effect on bitcoin is most pronounced during times in which investors generally become more bearish. 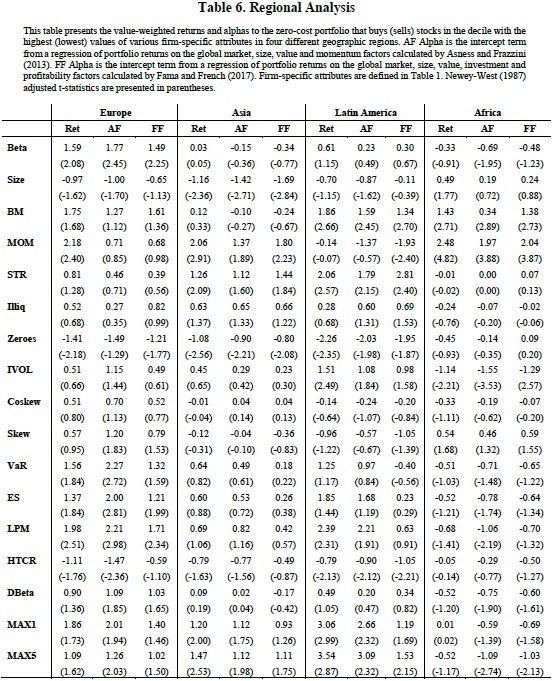 Table 5 Panel A indicates that bitcoin returns are statistically related to the coefficient on the Fama-French profitability factor RMW (𝛽5 ), and with a positive sign. Therefore, the return to holding bitcoin is generally positive during periods when the stocks of higher profitability firms outperform the stocks of lower profitability firms. At first glance, this finding appears to be at odds with bitcoin returns resembling the returns to the stocks of unprofitable firms. However, in interpreting this finding, it is important to keep in mind that the return to small growth stocks cannot be explained by the Fama-French three-factor model, as those stocks have historically earned low returns, not the high returns predicted by the model. Similarly, in the extended Fama-French factor model, profitability is related differently to small, growth stocks than to other stocks. One of the main implications of the regression analysis above is that sentiment impacts bitcoin returns indirectly through traditional factors, but with no direct discernable direct effect. This leaves open the question of how bitcoin returns and sentiment have coevolved over time. To investigate this issue, we employ Vector Auto Regression (VAR) models that focus on the dynamic relationship between Investor sentiment index and Bitcoin Return. 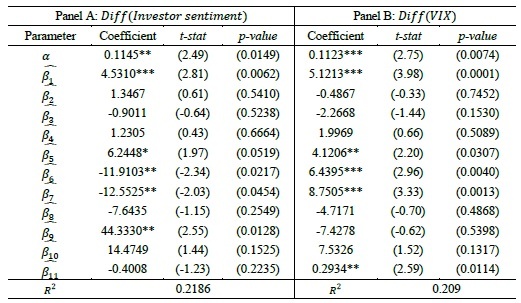 The results suggest that while Bitcoin Returns do not Granger-cause Investor Sentiment Index for the Investor Sentiment equations (Panel B), Investor Sentiment Index does Granger-cause Bitcoin Returns for the ratio of the Bitcoin Returns equation (Panel A). In particular, bullish (bearish) investor sentiment significantly drives Bitcoin Returns positively (negatively). It is noteworthy that although the time period of the bitcoin price decrease (i.e., January-February, 2018) is much shorter, and the percentage of bearish investor sentiment is somewhat lower, the negative impact of bearish investor sentiment on Bitcoin Returns seems to be a bit larger than the positive impact of bullish investor sentiment on Bitcoin Returns. We further conduct VAR analysis with alternative measure of investor sentiment, Volatility Index (VIX) for robustness, and present the results in Table 9. In Bitcoin Return equation, the coefficient on VIX (lagged 1) is significantly negative, which implies that a change in VIX index from day t–30 to day t negatively affects bitcoin return. This negative impact of VIX on Bitcoin Returns can be interpreted to mean that investors’ fear about the future market tends to induce a decrease in the price of bitcoin. Intuitively, when the volatility index increases, investors grow afraid of increased volatility, and sell bitcoin, lowering the bitcoin price. Expressed differently, if the VIX decreases, then the market is less volatile, and investors become willing to take risks to earn above average returns by buying bitcoin, thereby driving up its price." "In this study we fill the gap in the literature by investigating the bias in cross-sectional asset returns when individual asset prices move together regardless of their fundamentals. We propose a mechanism that explains this comovement in asset returns with respect to two well-known behavioral biases in finance: investor overconfidence and sentiment. We demonstrate that the cross-sectional difference in the expected returns and betas of individual assets is suppressed when investors are overconfident about signals of the market outlook, and thus their posterior prediction of the market return is overly affected by these signals. A comparable compression of betas arises in the presence of investor sentiment. When optimistic views about the market outlook prevails, individual betas are biased towards the market beta. The opposite case is also possible: when investors are under-confident about the market outlook or their sentiment is pessimistic, the difference between individual betas increases. This type of cross-sectional bias in betas is referred to as “beta herding” in this study because individual betas are biased (herd) towards the market beta regardless of their equilibrium risk-return relationship, when investors’ market outlook is excessively affected by their optimism or overconfidence about the market outlook. In practice, when beta herding arises, investors may buy assets whose returns increase less than the market because these assets would appear relatively cheap. Likewise, they may sell assets whose returns increase more than the market because these assets would seem to be relatively expensive and the opportunity for taking apparent profits might be hard to resist. In fact, the more confident or optimistic investors are about their market outlook, the more likely they are to trade at a price close to their view. In our model, high and low beta stocks are not affected differently by beta herding, and thus beta herding can be easily measured by the cross-sectional variance of standardized-betas, which are equivalent to the t-statistics of beta estimates. The standardized-beta provides information on the precision of the beta estimate in addition to its magnitude, and more importantly, makes it possible to compare the dynamics of beta herding over different periods. 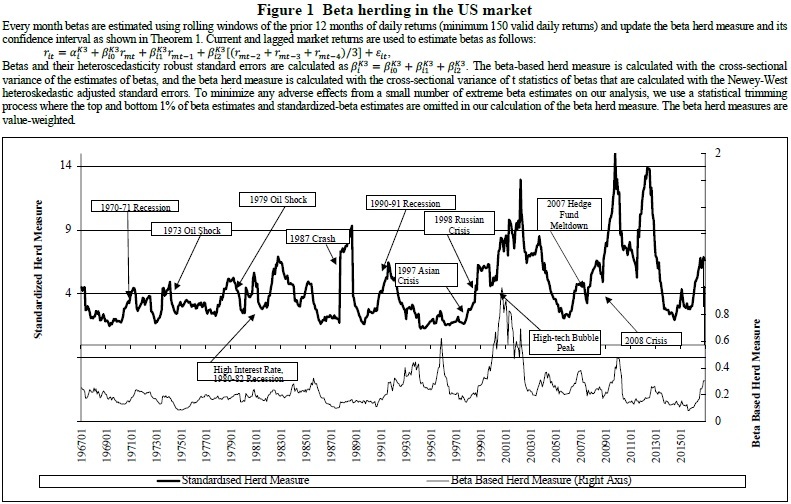 We find that the low-beta anomaly is observed only after periods of adverse beta herding, when the dispersion of standardized-betas increases: for value-weighted decile portfolios formed on standardized-betas, the risk-adjusted return of the high-minus-low portfolio over the 12 months following adverse beta herding is -11.4% per year, whereas the returns are not different from zero following periods of no beta herding or high beta herding. The effects of adverse beta herding on standardized-beta sorted portfolios are quite persistent and remain significant over two years." 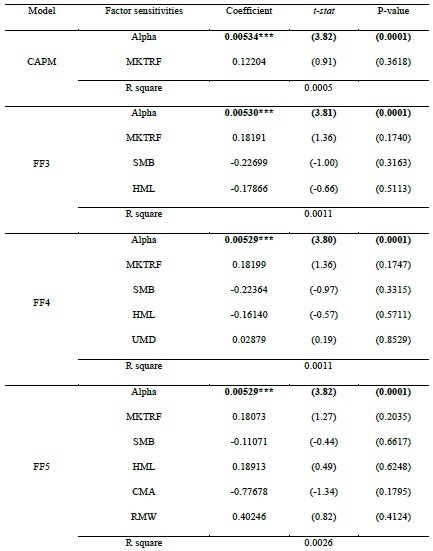 This study investigates the relation between a comprehensive set of firm-specific attributes and future equity returns for a sample of stocks from 27 emerging markets. 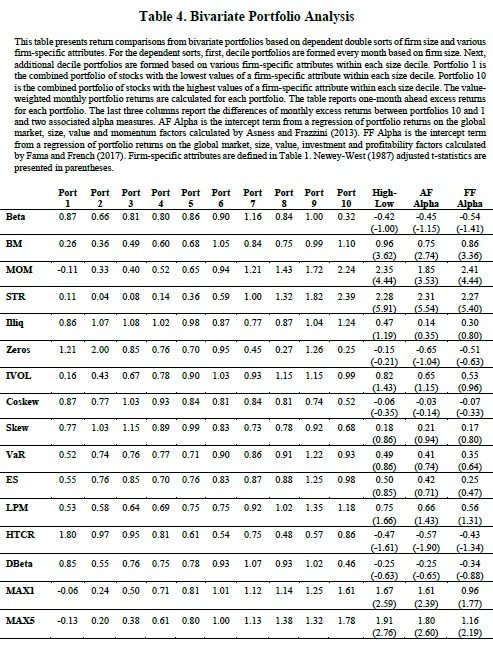 Univariate analyses based on equal-weighted portfolio returns reveal that the low beta, firm size, book-to-market ratio, momentum and illiquidity anomalies are also observed in emerging markets whereas short-term reversal, left-tail risk and lottery demand effects manifest themselves in the opposite direction compared to U.S. studies. Value-weighted portfolio returns and bivariate analyses that control for firm size show that some of these results are driven by small stocks. After we control for all attributes simultaneously in a regression framework, we find that the most robust cross-sectional effects for emerging market equities are medium and short-term return momentum. "Although there is no shortage of research on the cross-section of equity returns in emerging markets, these studies are restricted in the sense that they only focus on a limited number of potential determinants of expected returns and/or they only conduct their analyses in a single country or a small group of countries. Our contribution is that we compile a large set of firm-specific attributes that can potentially impact equity returns and use a comprehensive sample of stocks from 27 emerging markets. Thus, we are able to investigate the independent information that a particular firm-specific attribute provides compared to other attributes and observe the generalizability of our results across all emerging markets. We should also note that we undertake a more modest task in this study by focusing on the potential return determinants that can be extracted from the empirical return distribution of individual equity returns. The U.S. literature also suggests various accounting-based variables as cross-sectional return determinants, however, accounting information is sparse for emerging markets and not easily comparable across countries in a large sample due to differences in accounting practices. The only exception we make is for book-to-market ratio of equity since this variable is included in all contemporary asset pricing models and book value of equity is relatively more available compared to other accounting variables for emerging markets. To investigate the relation between each firm-specific attribute and expected stock returns, we conduct discrete univariate portfolio analyses by sorting stocks into deciles based on one firm-specific characteristic at a time. Next, we compare the one-month ahead returns of the portfolio that includes equities with the highest values of a firm-specific attribute and the portfolio that includes equities with the lowest values of a firm-specific attribute. For example, if the firm-specific characteristic under focus is market beta, Portfolio 10 contains the stocks with the highest sensitivity towards market movements and Portfolio 1 contains the stocks with the lowest sensitivity towards market movements. The decile portfolios are formed every month starting from January 1989 to December 2014. The main portfolio analysis used in this study combines all equities in the sample, therefore, stocks in each decile come from a multitude of countries. Firm size is an important mediating variable in cross-sectional studies of equity returns. Many anomalies are driven by smaller stocks implying that some significant relations between firm characteristics and expected returns that manifest themselves in the full sample of equities may not be observed when one focuses solely on large stocks. We employ conditional (dependent) double sorts on firm size and various firm-specific attributes by grouping equities into deciles based on firm size and then into additional deciles based on a certain firm-specific attribute within each size decile. For each firm-specific attribute, this bivariate analysis provides 100 conditionally double-sorted portfolios. Portfolio 1 represents the combined portfolio of stocks with the lowest values of a firm-specific attribute in each size decile and Portfolio 10 represents the combined portfolio of stocks with the highest values of a firm-specific attribute in each size decile. We investigate whether the mean return or alpha differences between two extreme firm-specific attribute deciles is significantly different from zero. This type of analysis can also reveal whether the existence or non-existence of a relation between a certain attribute and expected returns is driven or masked by a significant correlation between the attribute and firm size. We find that the return pattern across the market beta deciles is relatively flat, however, the decile returns drop from 1.00% to 0.32% between Portfolio 9 and 10. Despite this sharp drop, the return and alphas to the zero-cost portfolio constructed based on market beta are insignificant. The book-to-market and momentum anomalies survive after controlling for firm size using bivariate sorts. The return and alphas to the zero-cost strategy based on BM are between 75 and 96 basis points with t-statistics of between 2.74 and 3.62. The zero-cost strategy based on momentum reveals even higher returns and alphas with values between 1.85% and 2.41% and t-statistics between 3.53 and 4.44. The short-term reversal strategy still translates as short-term momentum to the emerging market setting. The return difference between the extreme one-month-lagged return deciles is 2.28% with a t-statistic of 5.91 and significantly positive alphas. The conflicting evidence regarding the illiquidity premium that was uncovered in the univariate analyses is absent when firm size is kept stable across the Amihud’s illiquidity ratio and Zeros deciles. None of the return or alpha measures based on these two metrics are statistically different than zero. We also had found no robust relation between attributes such as idiosyncratic volatility, co-skewness and skewness earlier and these results translate to the bivariate setting as well. For the three stock-specific left-tail risk measures, we find that the return and alpha metrics for the zero-cost strategy are all positive but statistically insignificant with t-statistics between 0.47 and 1.66. For hybrid tail risk, we observe a generally decreasing pattern of returns across the deciles although the return increases from 57 to 86 basis points from Portfolio 9 to 10. Despite this increase, the returns and alphas to the zero-cost strategy are all negative and statistically insignificant except for AF alpha. Again, there is no relation between downside beta and expected equity returns. Finally, we observe that lottery-like stocks continue to demand higher one-month-ahead returns after the dependent sorts. The return and alpha measures for the zero-cost strategy based on MAX1 and MAX5 vary between 0.96% and 1.91% with t-statistics between 1.77 and 2.76. We observed that the firm size, book-to-market and momentum anomalies presented themselves significantly in the overall sample of emerging market equities. By looking at each region separately, we see that these significant relations generally do not show up uniformly in each region and the results encountered in the overall sample are driven by specific regions. For example, although the zero-cost portfolio formed by sorting stocks based on their market value of equity generates a significant return of -1.16% per month with a tstatistic of -2.36 in Asia, no such pattern exists for the other regions. The book-to-market effect seems to be driven by equities in the Latin America and Africa regions. The momentum effect is robust across Europe, Asia and Africa with statistically significant monthly zero-cost portfolio returns of 2.18%, 2.06% and 2.48%, respectively. Table 3 also revealed that the shortterm reversal and lottery demand anomalies produced returns with opposite signs to those expected from U.S. studies in the overall sample. We find that both results are driven mostly by Asian and Latin American countries. The zero-cost portfolio strategy based on STR produces returns of 1.26% and 2.06% with t-statistics of 2.09 and 2.57 in Asia and Latin America, respectively. The zero-cost portfolio strategy based on MAX1 produces returns of 1.20% and 3.06% with t-statistics of 2.00 and 2.99 in Asia and Latin America, respectively. Although we did not find significant relations between the other firm-specific attributes and future equity returns in our overall emerging market sample, it is possible to observe some predictive power associated with these attributes when we focus on individual regions. First, we find a significantly positive relation between market beta and one-month-ahead equity returns in Europe with a return of 1.59% (t-statistic = 2.08) to the zero-cost portfolio and significant alphas. Second, we find that the illiquidity measure based on non-trading days has a significantly negative relation with one-month-ahead returns in all regions except Africa and IVOL has a significantly positive relation with one-month-ahead returns in Latin America. Third, zero-cost portfolio strategies based on all three stock-specific left-tail risk measures produce significantly positive returns and alphas between 1.21% and 2.27% in Europe. A similar relation is observed in Latin America when LPM is used as the stock-specific left-tail risk measure. Finally, we find that hybrid tail risk is negatively priced in Europe and Latin America. These results speak to the importance of accounting for regional differences in the patterns pertaining to the cross-section of equity returns."